The Custodians of Rare and Endangered Wildflowers (CREW) is a citizen science programme, supported by the Botanical Society of South Africa (BotSoc). 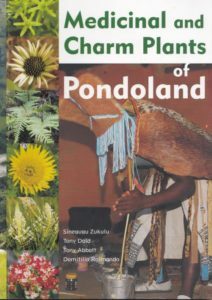 CREW involves the participation of people from different socio-economic backgrounds to survey and monitor plants of conservation concern in areas known to house threatened plants. CREW has 3 nodes – Cape Floristic Region, Summer Rainfall region and the Eastern Cape that provides support to the citizen scientist groups by providing resources and identification courses and training as well as linking the groups to their local conservation agencies. Threatened plant data collected by the citizen science groups is analysed by the Red List scientists to assess the rate of extinction of South Africa’s plants. The Red List dictates the status of our plant diversity and is used to implement policy and land-use planning. 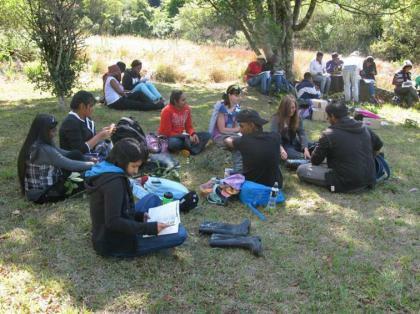 CREW works with groups of volunteers who are capacitated to look for threatened plants in the field, with the aid of field identification sheets. Volunteers systematically survey sites with natural vegetation, and in the process identify the properties with natural vegetation in the best condition and with the highest concentration of endemic species. Data collected by CREW volunteers is used to update information of threatened plants for Red Listing and land-use planning. CREW provides general plant identification courses as well as field training. CREW groups work closely with local land use decision-makers, landowners and government conservation extension staff to create awareness of the important plant species found on their land and are able to catalyse deals to conserve area. 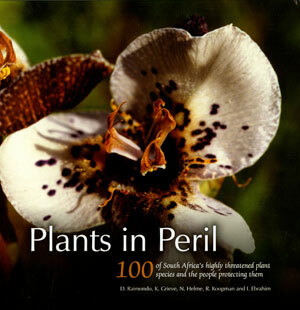 To mark CREW’s 10th anniversary, the Botanical Society’s centenary as well as the strong partnership between SANBI and BotSoc, CREW published the Plants in Peril coffee table book.The book profiles 100 critically endangered plants – one for every year of BotSoc’s centenary – and aims to highlight the factors threatening their survival and raise awareness of the actions required for their conservation. Also, BotSoc partnered with Woolworths to create unique shopping bags that showcase threatened species. Like @CREWCitSciZA on Facebook for updates on field trips and exciting finds. The CREW programme recognised a need for more students entering the environmental field. Thus links have been made with tertiary institutes to raise awareness of plant conservation and educate students on the process of red listing and how the red list is used in various conservation applications. The outreach programme includes a presentation on the factors that make species vulnerable to extinction, an introduction to the IUCN Red List categories and criteria for detecting risk of extinction, as well as how the Red list and CREW data are used to make important conservation decisions and help focus scarce conservation resources on top biodiversity priorities. We also introduce students to the kinds of jobs that are available in the conservation sector with emphasis on work related to threatened plant conservation. This section is always useful for the students as many of them do not realise the range of opportunities available in the sector and helps focus their attention on where to direct possible further study. 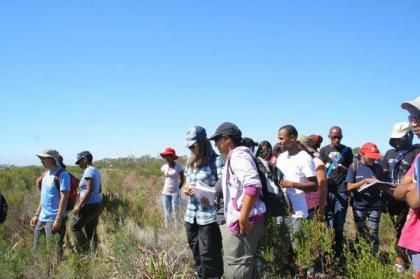 After the lecture we organise a field trip where the students have an opportunity to see examples of threatened plants in the field and learn about CREW’s monitoring process. CREW is collaborating with University of Limpopo, University of Venda, University of Pretoria, Tshwane University of Technology, University of the Witwaterand, University of Johannesburg, University of Zululand, Durban University of Technology, Mangosuthu University of Technology, University of KwaZulu-Natal PMB + Westville campus, Nelson Mandela Metropolitan University, Stellenbosch University, University of Western Cape, Cape Peninsula University of Technology. We have found that students who attend these sessions have a greater likelihood of working at SANBI as interns or research assistants. Please note the CREW News was not published in 2008 due to 2 issues in 2007. Issue 2009 illustrates CREW achievements for 2008.